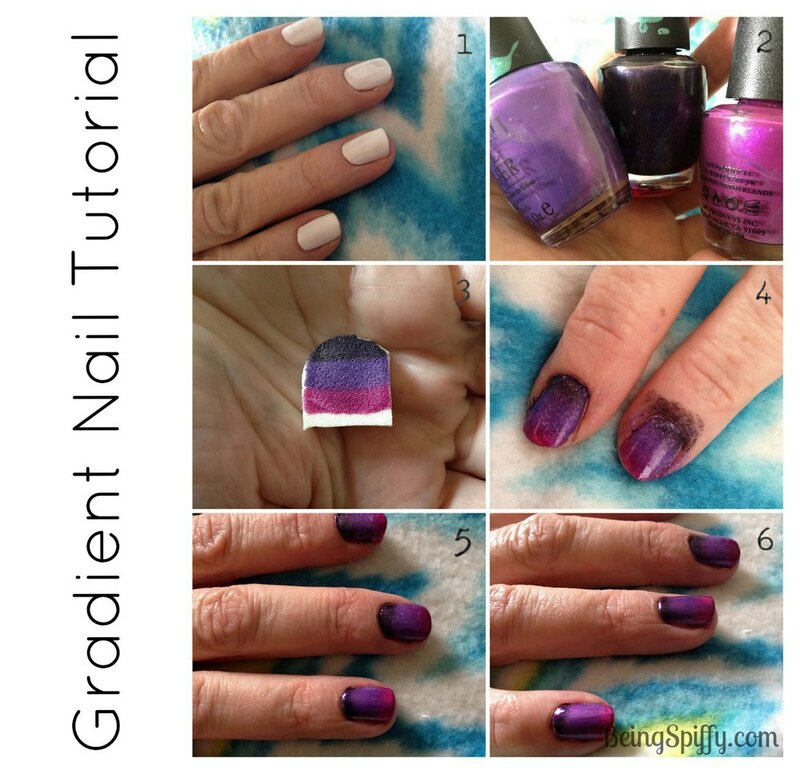 I've tried a few different tutorials on doing gradient nails so I decided to try it for myself! Using my sister as a guinea pig (thanks Sis! ), I used a messy, but cool technique with a makeup sponge. Paint your nails a base color. Since you'll be sponging on the polish, the color isn't as intense as painting. You'll definitely need something as a "background". Choose your colors. The most I would do is 3 unless you have long nails. Then you can fit more! Clip a makeup sponge in a shape roughly the size of your largest fingernail. Liberally paint the polish on your sponge since it will soak it up. Apply the nail from the sponge to your nails. Do this as many times as it takes to you reach the opacity you like, reapplying the polish to the sponge each time. Just to warn you, it will make a huge mess! Clean up the edges using fingernail polish remover and a cotton swab. Apply a clear topcoat. This will not only protect the polish from chipping, but it evens out the texture from the sponge. Let me know if you try this look. Send some pics or pin it to Pinterest if you like!